Are Zaha Hadid and Bjarke Ingels are inspired by Franz West’s unconventional objects and sculptures? A comprehensive exhibition of works by the Austrian artist Franz West is currently being held ,at the Pompidou Center in Paris. This is Franz West’s painting from the 70’s. This is Eliinbar’s Photograph – from Franz West’s Exhibition, Centre Pompidou, Paris. Inspired by Franz West statue, shown in the next picture? Do you consider them autonomous? They don’t seem burdened by site-specificity. They are always a little awkward. They don’t fit easily. It seems like a new trend is developing in recent years. long ago …. 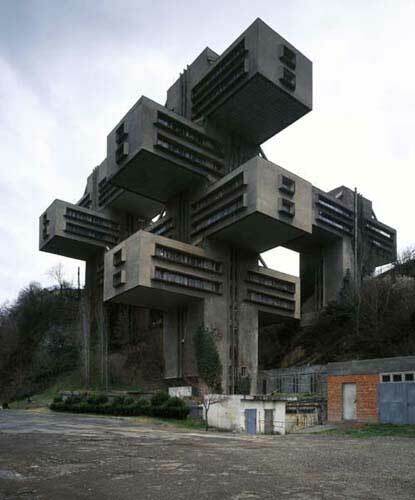 when architects talk about “ T buildings”…. They were referring to buildings with a floor plan that has the shape of “T” like in the next image…. In recent years, three leading architectural firms, Rem Koolhaas(OMA), MVRDV and Steven Holl, explore the “T” configuration through the facades of their buildings . Can a floor plan be your “Inspiration source”? You are invited to see also a relevant and very popular post of mine,that deals with a similar option in the Zollverein School of Management & Design, designed by SANAA. 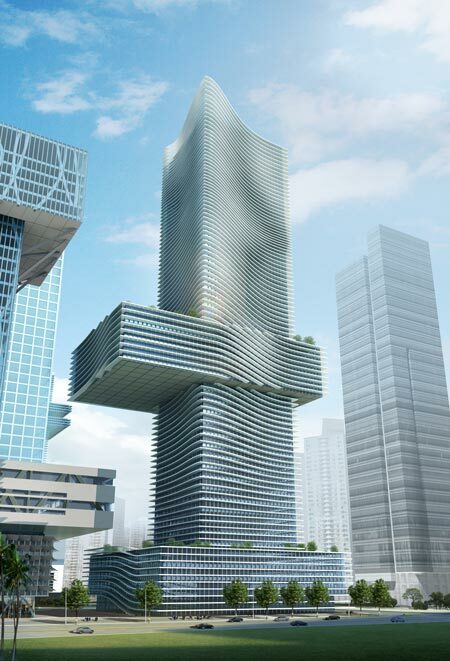 Another relevant post worth a visit….Rem Koolhaas and the “Conscious Inspiration” issue…. Rem Koolhaas and the “Conscious Inspiration” issue…. Recently I found a Rem Koolhaas twitt (16 Feb 09) related to the questions I raise in this blog…. Well…. 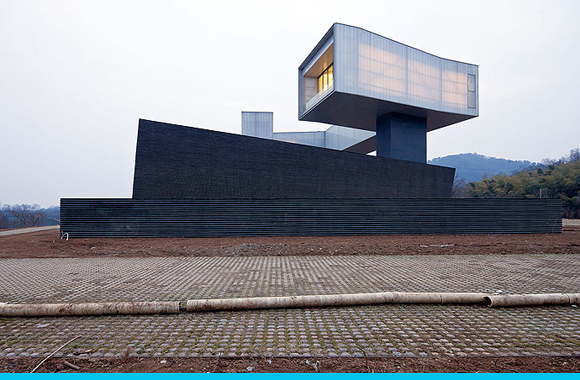 Rem Koolhaas is no doubt one of the influential architects in our time…. We learned in this blog that the notions “inspiration” and “copy- past”, In other words “Influence”…. are very delicate issues, we are obliged to recognize them and develop techniques to deal with them…. A method that is aware of today availability of information…. and develop tools to help us architects and designers deal with it. We don’t need to be intimidated to get inspired (influence) from relevant buildings. Once we develop our tools, it will lead us to high quality and creative architecture. 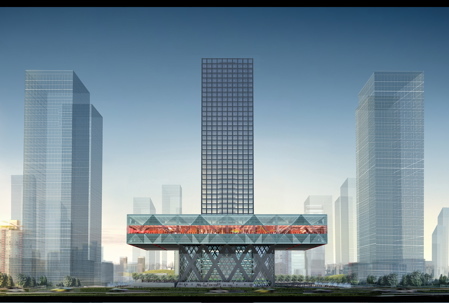 The next image, is the Shenzhen Stock Exchange building in Shenzhen,China .Rem Koolhaas ( OMA) won a competition to design it in 2006, today the Shenzhen Stock Exchange is under construction. China. 2006, published in Dezeen, Under construction. may be , are the inspiration sources for Rem Koolhaas. 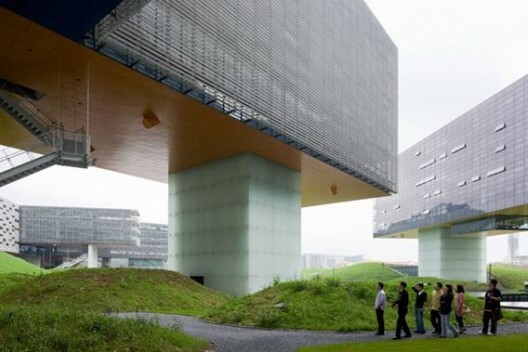 What do you think about this building designed by Coop Himmelb(l)au in Shenzhen, China , bublished in Dezeen in 2009? Note that the Rem Koolhaas’s Shenzhen Stock Exchange is on its left…. 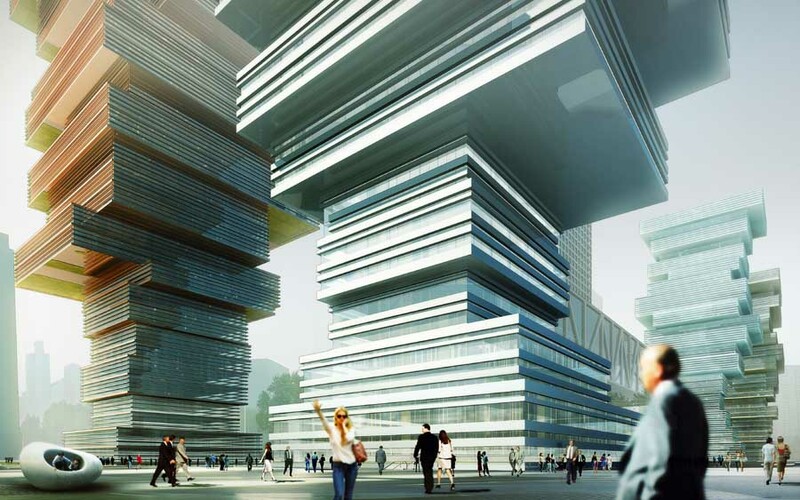 MVRDV’s “black cloud”, The image of the memory…. 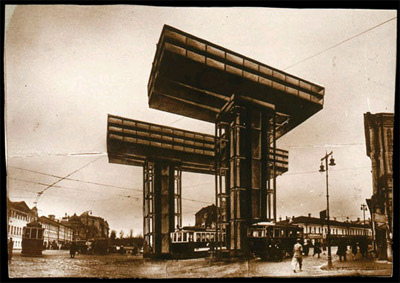 Daniel Libeskind , Coop Himmelb(l)au & Iakov Georgievich Chernikhov - so that is how “Conscious Inspiration” works? 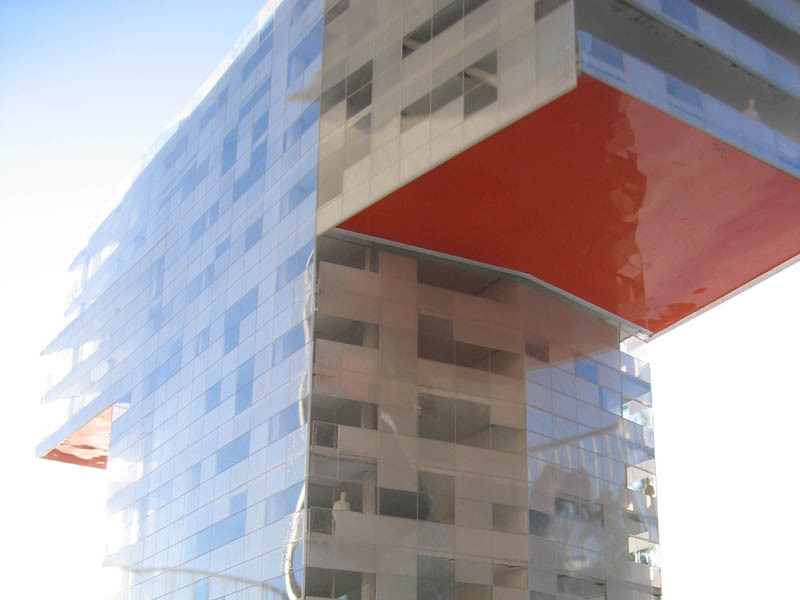 MVRDV and the Typology of Cantilever Buildings "In my backyard"